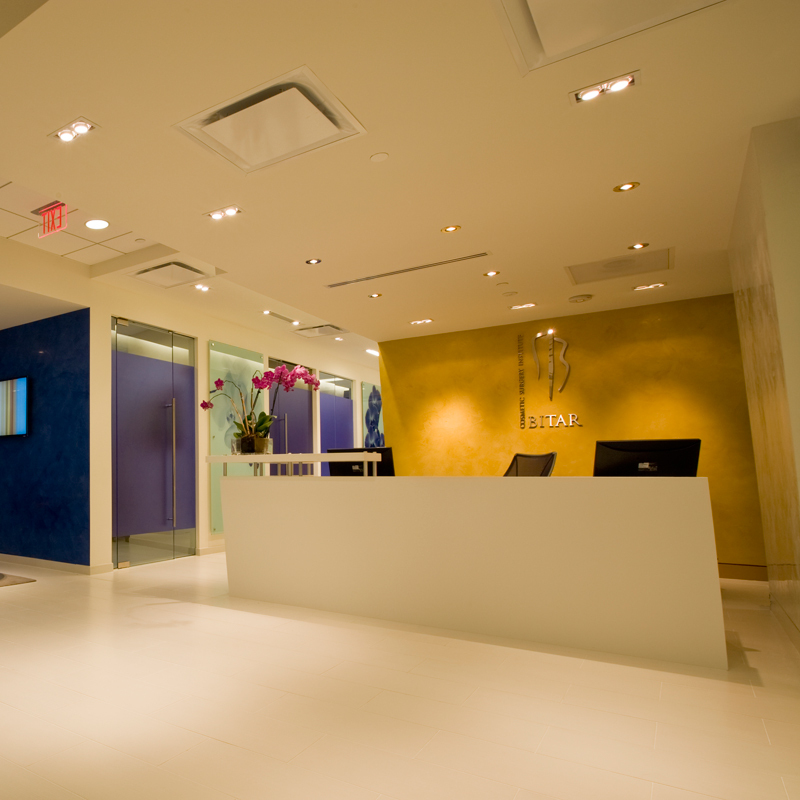 Dr. Bitar, consistently rated as one of the top plastic surgeons in the country, approached FORMA for the design of the flagship Bitar Cosmetic Surgery Institute, a top plastic surgeons modern cosmetic surgery institute in a brand new medical office building in Fairfax, VA. Occupying a little over 2500sf on the entry level of the building, the top plastic surgeons modern cosmetic surgery institute accommodates a large reception area, a conference room off the Lobby for presentations and seminars, a series of skincare and exam rooms and a procedure room, as well as private offices for the doctor and support staff. 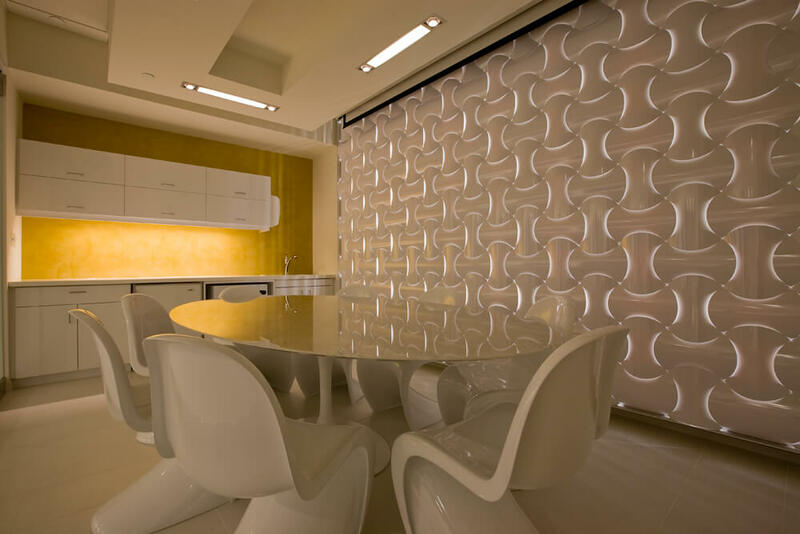 FORMA used refined materials and a glass wall that allows the natural daylight to permeate the space. 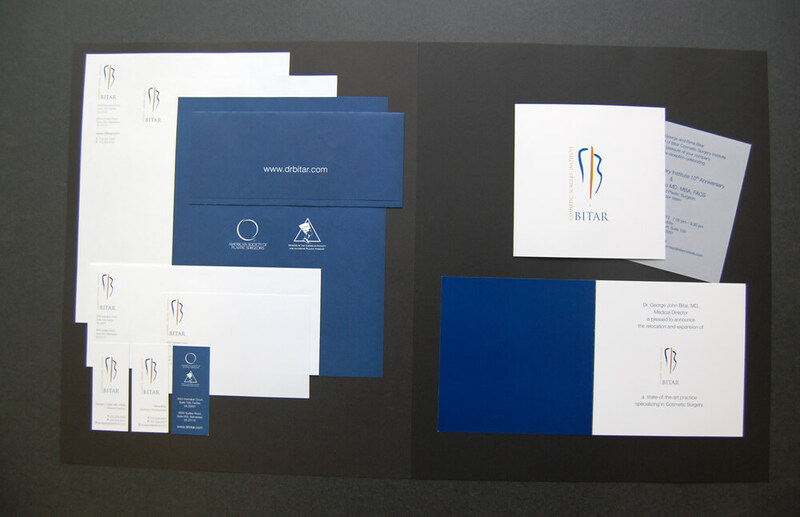 FORMA provided the branding and graphics/signage package for the practice, selected furniture and facilitated the selection and installation of the artwork package. "Offering patients exceptional results is not the only prerequisite to having a successful cosmetic practice. At the Bitar Cosmetic Surgery Institute, we focus on the complete patient experience from the moment the phone is answered to the moment the patient walks into our office to thoroughly following up with him or her after their procedure. 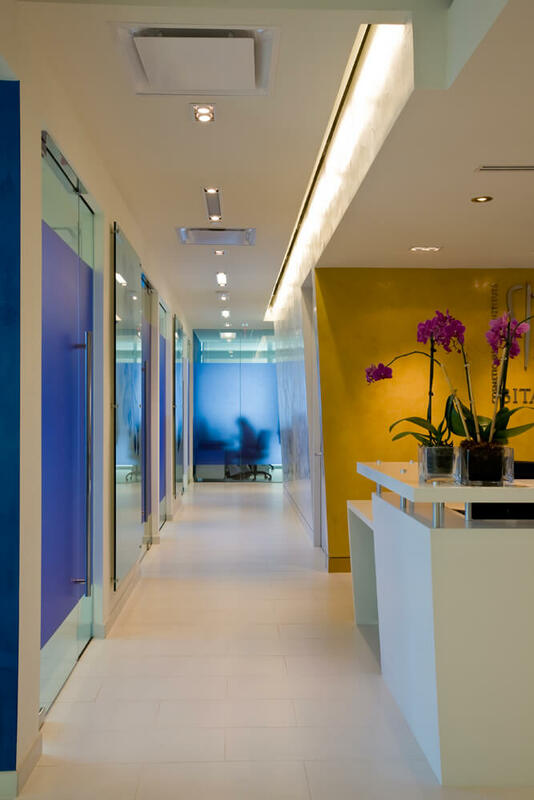 Our office design by FORMA has substantially contributed to our practice's goal of offering each patient an exceptional experience from beginning to end. The open and uncluttered design makes patients feel relaxed and at ease and allows our staff to mix and mingle with them as they wait to get their procedure done. Thank you FORMA for such a beautiful design!"